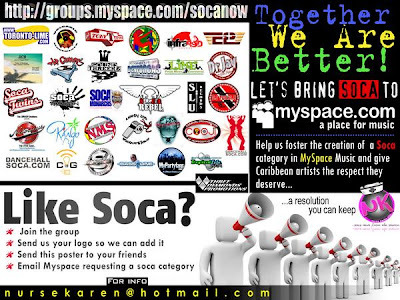 2008 International Soca Monarch Finalists in no particular order. Going up against Iwer George (The boss), same date, same venue as above. Also one would start to think that this is a true picture of the international Soca Monarch as a their is such a strong non Trini contigent. The fact that Biggie Irie won the Groovy Soca Monarch last year ads to that arguement!